A piece of cloth that Mary may have worn at either the Annunciation or the birth of Jesus is kept with reverence in Chartres. Since this “veil” was kept safely in a locked box throughout the Middle Ages, people thought of it as a shirt. 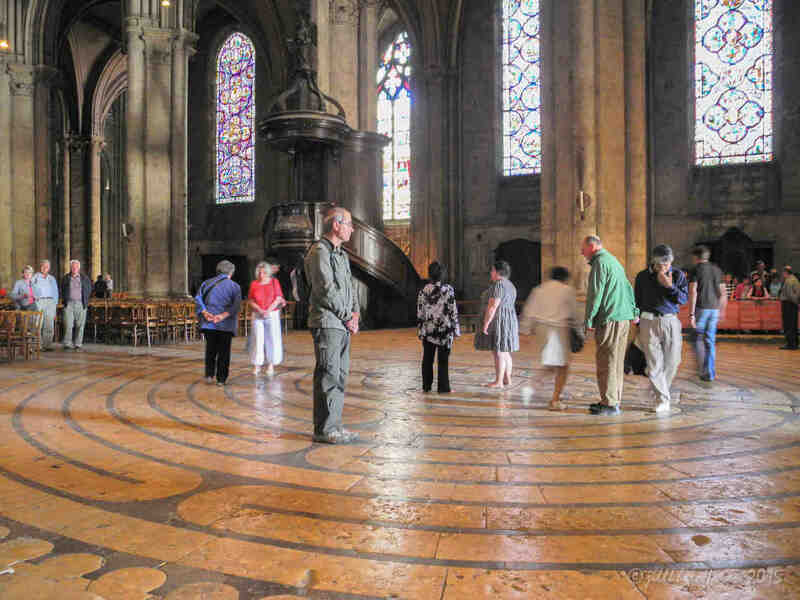 In Chartres there are over 100 depictions of Mary’s shirt, including one on the Bishop’s pulpit in the nave, right above the labyrinth. 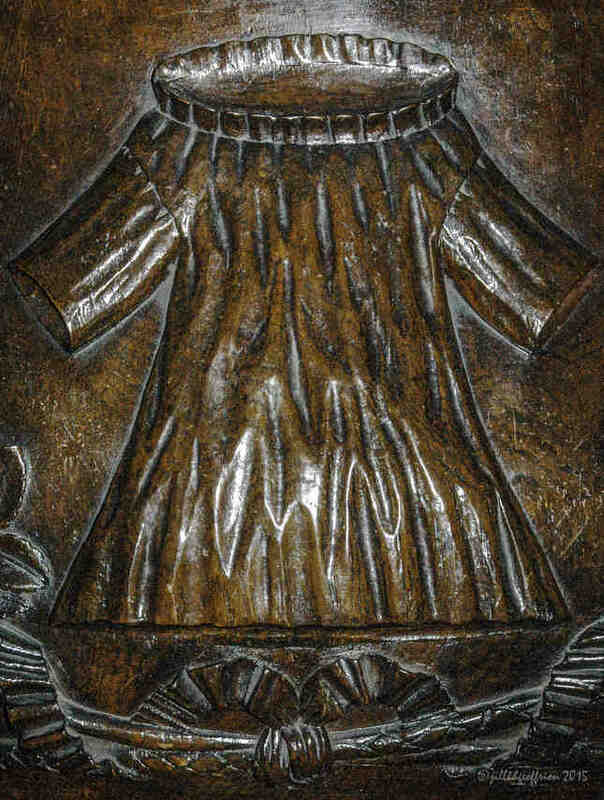 This wooden symbol of Mary’s care for Jesus, surrounded by roses and lilies, reminds me that as I walk through life God’s fragrant love is never far away. God, May I feel Your kindness that is already surrounding me, wrapping me love. Imagine yourself as a caterpillar who God is wrapping with love. Feel the strangeness and the security as you sense being surrounded. What prayers are emerging in your heart, mind, body, and imagination? Pray them now. 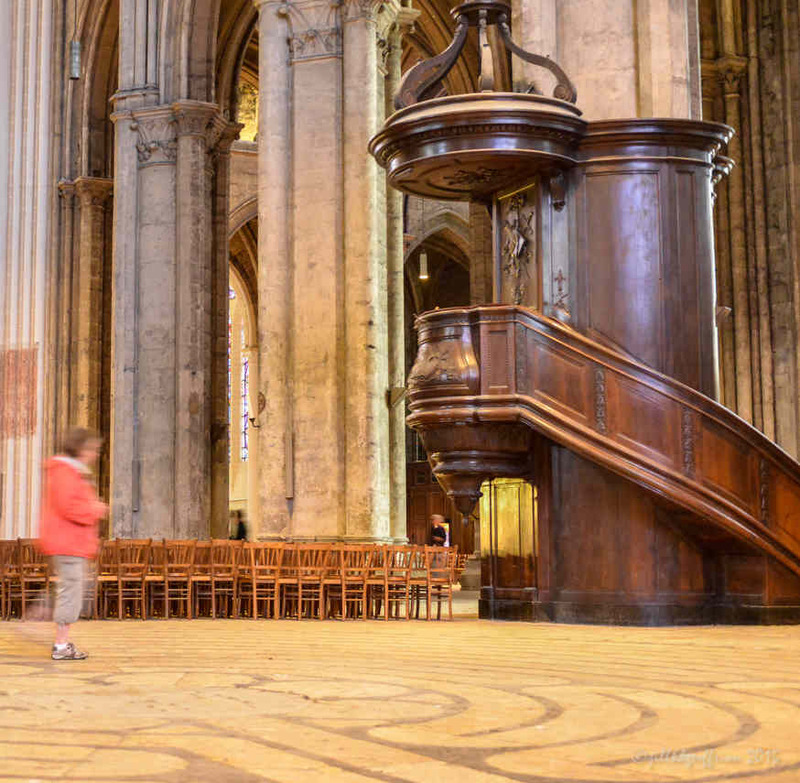 A symbolic representation of Mary on the Bishop’s pulpit on the south side of the nave overlooking the labyrinth. It is just underneath where the Bishop is visible as he preaches.